Happy Weekend, everyone. I hope the week treated you well. Don’t forget–the contest ends today: CLICK here to enter. See you tomorrow when I announce the winner. This entry was posted in Life and Whatnot and tagged Contest, Lynn Rush, Saturday, Weekend by Lynn Rush. Bookmark the permalink. Hi Kat. I’m trying this comment from my mobile phone….it’s drying out nicely here. Finally. Have a great weekend. Hi, Jack. Thanks for stoppin’ by Light of Truth. I’ve had lots to celebrate in the last few weeks, that’s for sure. Have a great day. I think your impromtu (spelling?) is a great way to celebrate your achievement. Congratulations on your first thousand. 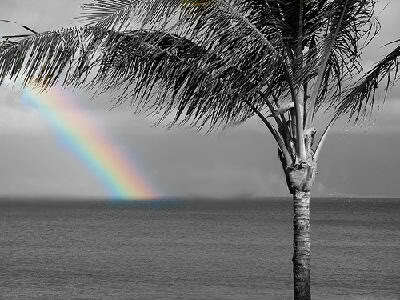 I like your beach scene image with the rainbow. Have fun in what you are doing.